5Rhythms® is a moving meditation, a mindfulness training and a workout for life, body, heart, soul and spirit, that gives us freedom to explore who we truly are. In a joyful way we explore ourselves, our relationship to self, an other and the world. This dance and movement meditation allows us to relax into the present moment, truly and consciously be in the here and now. 5Rhythms® movement practice is for everybody irrespective of age, shape, physical ability or experience and has the power to catalyze great change and healing. 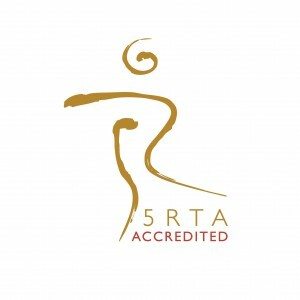 Dancing the 5Rhthms® in a class or workshop is a continuous exploration of our whole self. Most important though is that we allow ourselves to be curious, let our body, heart, mind, soul and spirit be moved by music from all corners of the world and together with others who also want to deepen their awareness dance, dance, dance! Each rhythm has a different quality. Together the rhythms make up a cycle of movement known as the Wave. This Wave gives us the framework for our exploration.There are no special steps or movements to copy or learn , we just follow the wave that invites the body to move in different patterns, shapes, levels and energies. When we dance the 5Rhythms®, we enter in turn into these five distinct fields of energy. By inviting each rhythm or quality of energy to move through our bodies, we may also open ourselves to experience and explore the various qualities of thought, feeling, and physicality associated with each rhythm. Awakening to our deepest truth through motion. the fluid, continuous, grounded glide of our own movements that teach us to say yes to our body, listen to our body and become aware of our real needs. We learn how to be true to our energy and open up our consciousness so that we can become aware of new possibilities. the percussive, pulsing beat that shapes us a thousand different ways,that teaches us to organize our energy, set and have clear boundaries ,be clear in communication and open the door to our heart. the rhythm of trance, where the weight of self-consciousness dissolves, where we lighten up and disappear into our own uniqueness, that teaches us to lighten up, free ourselves from self-destructive patterns and reclaim our joy and our integrity. the quiet emptiness, where gentle movements rise and fall, start and end, in a field of silence, that teaches us that we can embody peace and serenity, that we are one and can transform our experiences into wisdom and truly feel compassion for self and others. 5Rhythms - my medicine from jenny knecht on Vimeo.